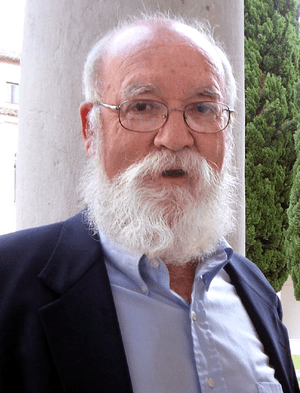 Dan Dennett is a distinguished American philosopher. Over the years he has moved away from mainstream philosophy to tackle such tricky subjects as evolution and religion. In his latest book he gives the benefit of his extensive knowledge and experience to set out the basic rules of good thinking. This Observer article is a good introduction. Being the philosopher that he is, Dan does not push a party line other than good sense and I for one agree with every word. If you want to know why Dan’s message deserves to be heard, switch on the news and learn about religious wars, corporate hegemonies and general double-dealing. Yup, I’m saying it here: Dan is one of the good guys. This entry was posted in Philosophy and tagged Dan Dennett, Daniel Dennett, Philosophy. Bookmark the permalink. ← What volunteering means to me?